The Sloggers Uni Brown Garden Sandal makes a smart and comfortable way to work outdoors. 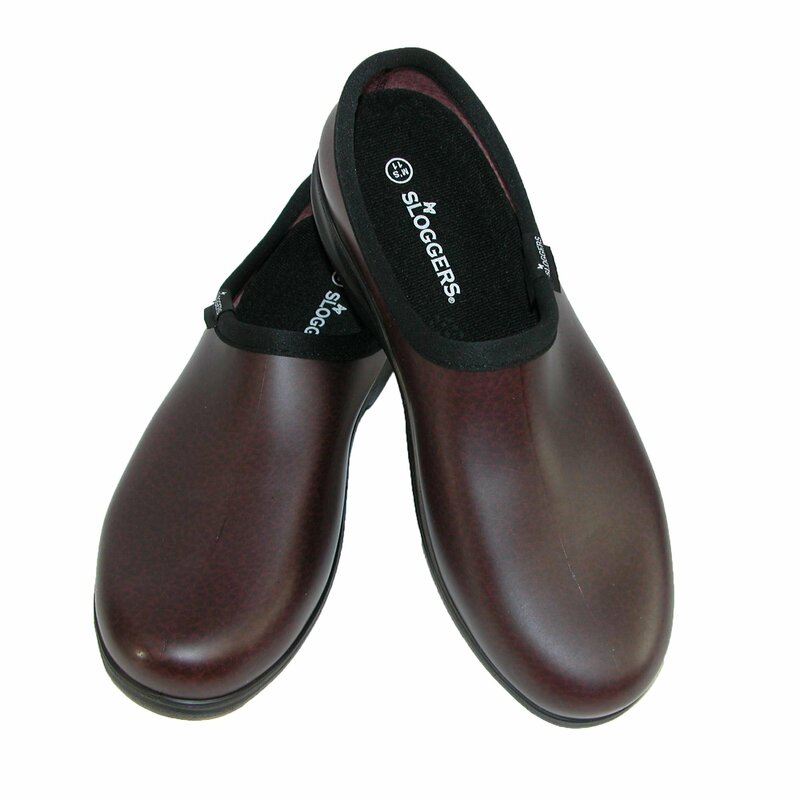 Crafted from high-quality, lightweight material, these resilient rubber shoes slip on easily and the closed-toe design prevents scratching your toes. The rubber design makes washing quick and easy. Located in Los Angeles, California, Sloggers has been developing high-quality garden clogs using a sophisticated injection molding system. A unique manufacturer system allows Sloggers to distribute top-quality products at highly competitive prices for customers the world over. Comfort and durability are the cornerstones of this 55-year old company that now produces a variety of lawn and garden care apparel all backed with distinguished customer service. Made from lightweight material with high rubber content. Features step in strap and a terry cloth insole for comfort. 4 vents on each side for air circulation. Solid front prevents entry of mud, pebbles, and water. Available in your choice of sizes.